There’s fandom, there’s extreme fandom and then there’s this. This picture was posted on Reddit by a college football fan, who apparently saw this poor poodle lounging on an outdoor patio of a restaurant with its owner. Your eyes are not playing tricks on you. 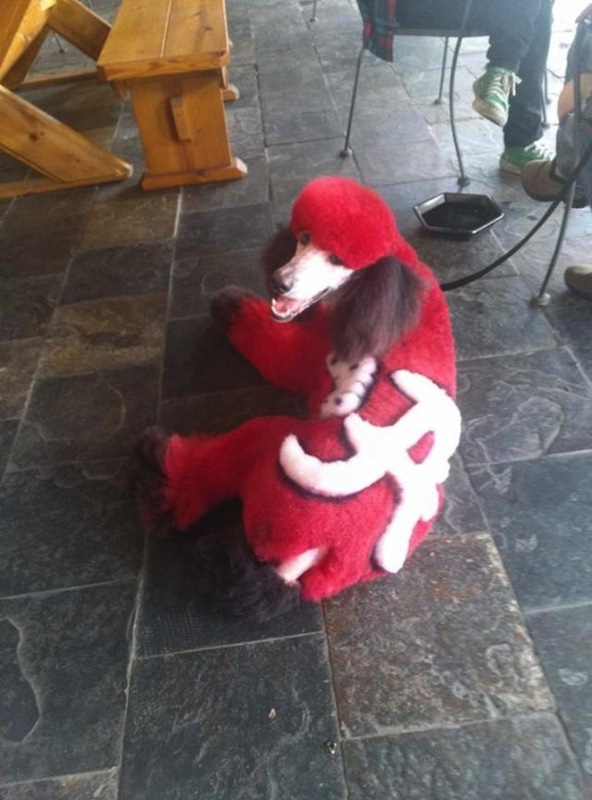 The poor animal has been dyed crimson and has an Alabama script “A” shaved into its fur. I have mixed emotions about this. The college football fan in me is kinda like, wow that’s pretty cool and well done and that dog wears that color well. The dog lover in me is like, has someone called the humane society (who whoever polices dog cruelty) to report this? Want to join the conversation? Hit us up on Twitter @YahooDrSaturday be sure to "Like" Dr. Saturday on Facebook for football conversations and stuff you won't see on the blog.